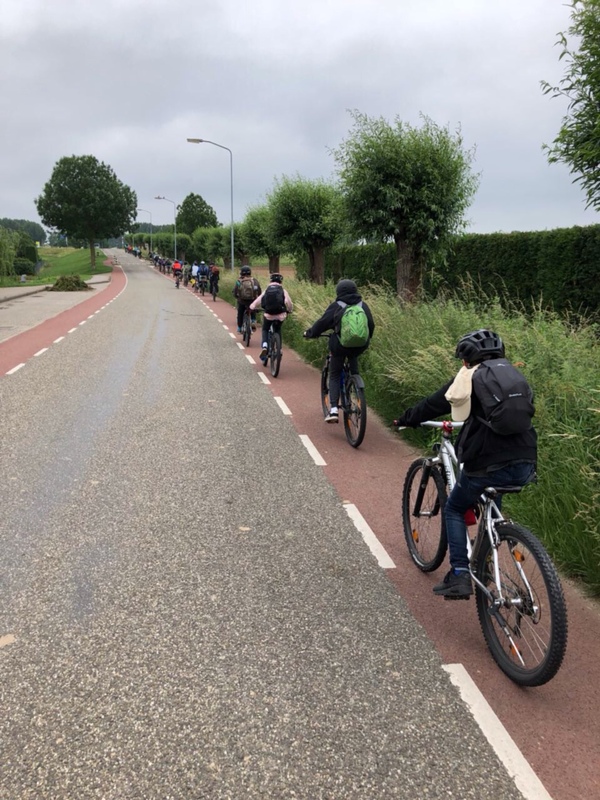 The 37 pupils of class 7b from the „Freie Waldorfschule am Kräherwald e.V.“ are travelling by bike through the Netherlands. 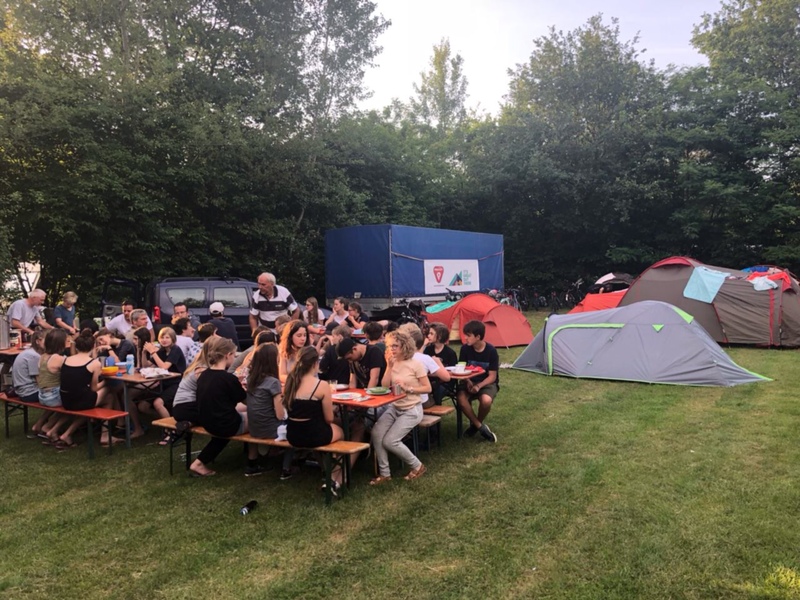 For two weeks the girls and boys discover cities and the landscape of Holland, sleep in tents and will have to resist wind and weather. They will do something they would never do on their own – but as a group they will reach their goal and share a great experience together. 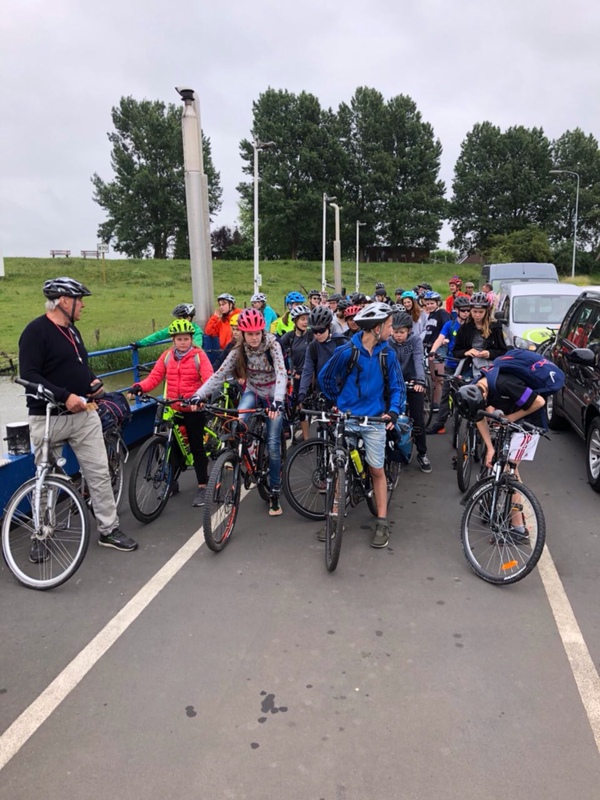 Hopefully it will inspire them to make this way of travelling an option for future holiday activities as well as outdoor activities in general. 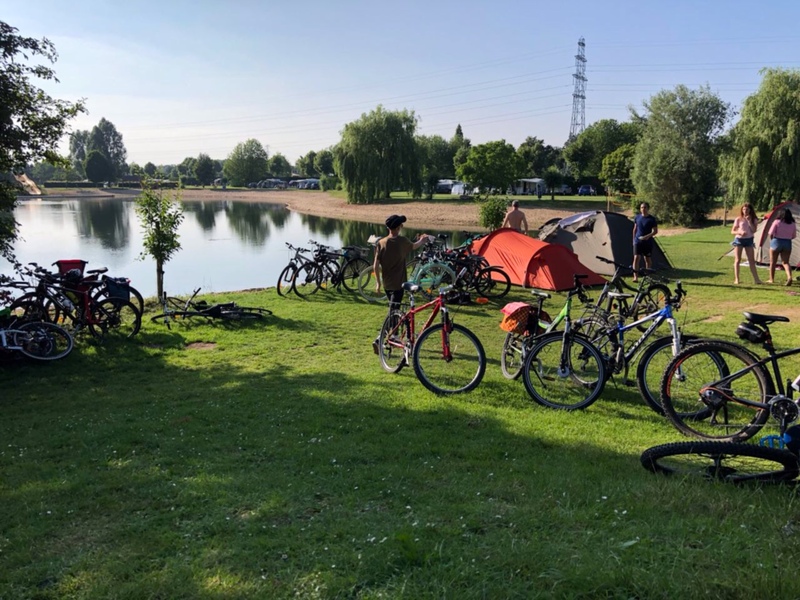 After arrival by train to Emmerich on the Rhine, we biked the first kilometres to Stokkum to the camping site. After an eventful evening we will spend the first night in the tents. 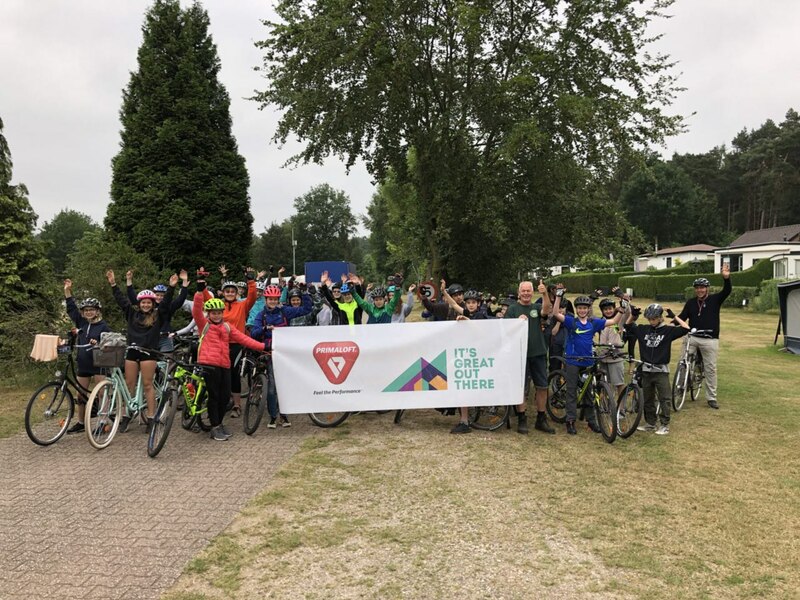 Today from Stokkum to Ghent, about 40km. Beautiful campsite with lake and water slides. Tomorrow there are about 50km on the program. 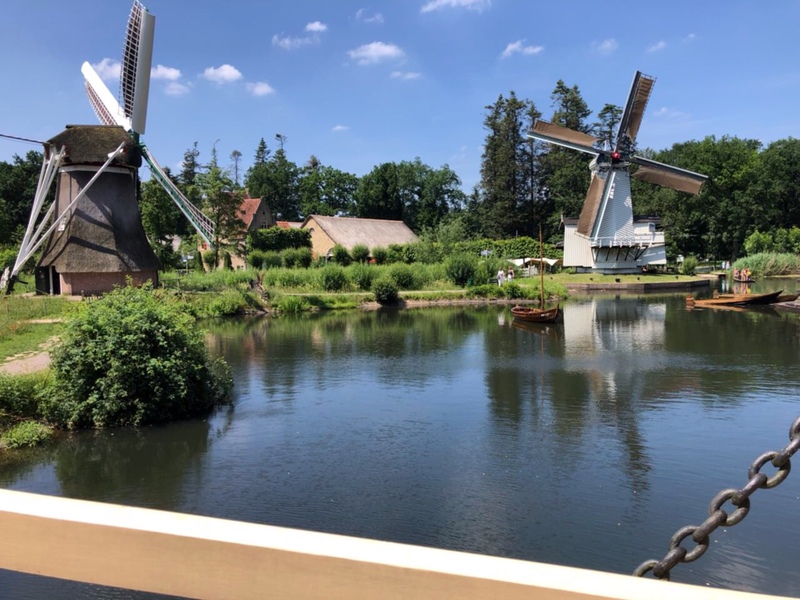 On the way to Otterlo with a stopover at the Openluchtmuseum near Arnhem. 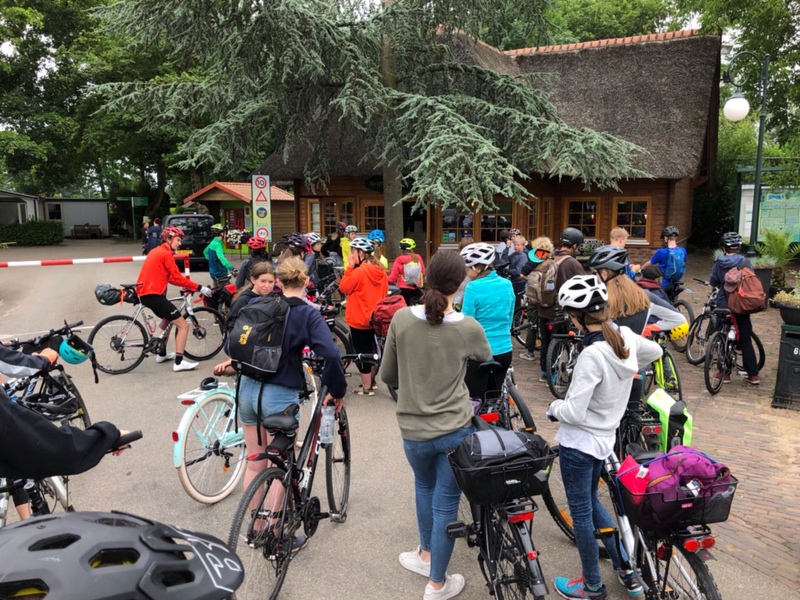 Van Gogh Museum and 45km to Zeewolde. Our bottoms ache and the sun burns. 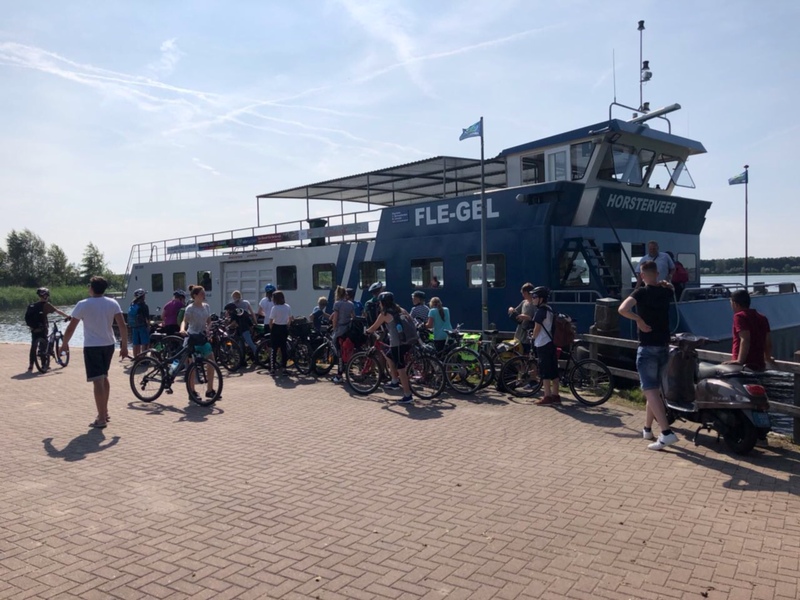 After a refreshing swim in the Nuldermeer, the energy stores are filled up for the next stage. First rainy day and the Vaude tents can prove what they have to offer. 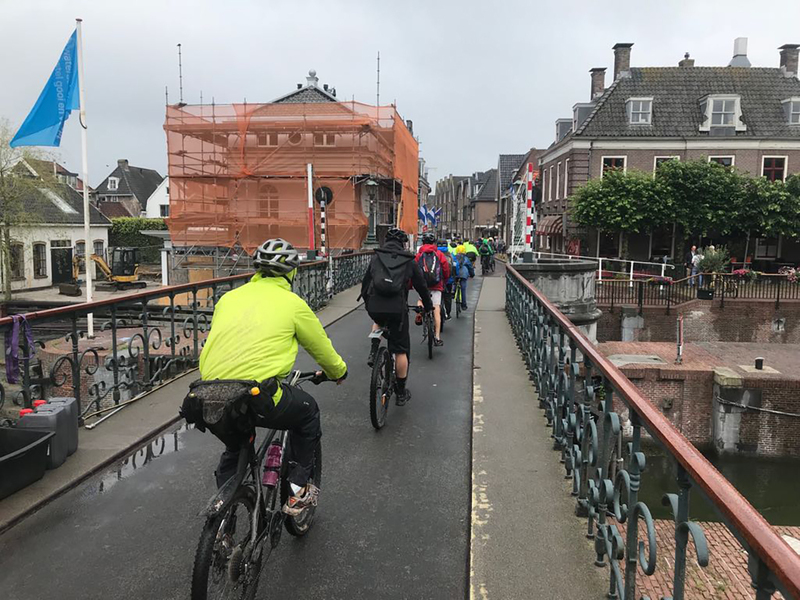 After breakfast in the rain only a small group of 7 kids dares to start for the 65 km to Amsterdam in pouring rain. The rest of the group takes the bus and train. 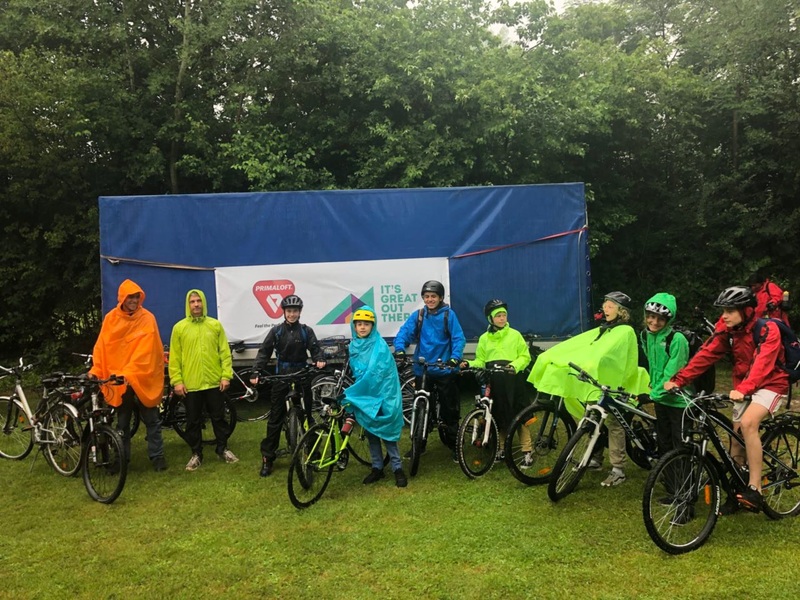 The heroes group of 7 prooves that it is great out there – even in the rain! They had a gorgeous ride and arrive only a short time after the bus at the camping place. Everything is soaked and damp and we need any single tent since some equipement suffered alot and needs to be dried the other day. After a rainy and wet night the rain is gone the other day. 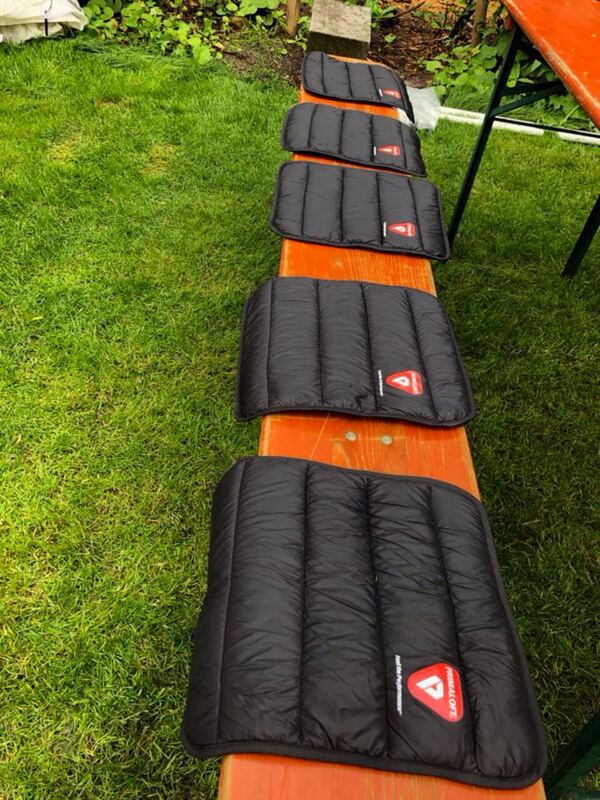 Tents and shoes and sleeping bags can be dried. 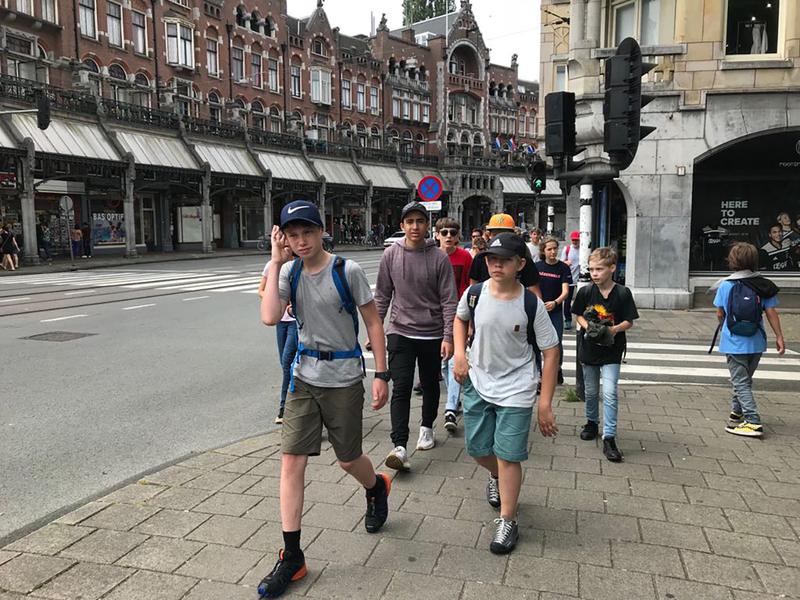 Now 2 days of urban experience in Amserdam is on our schedule. 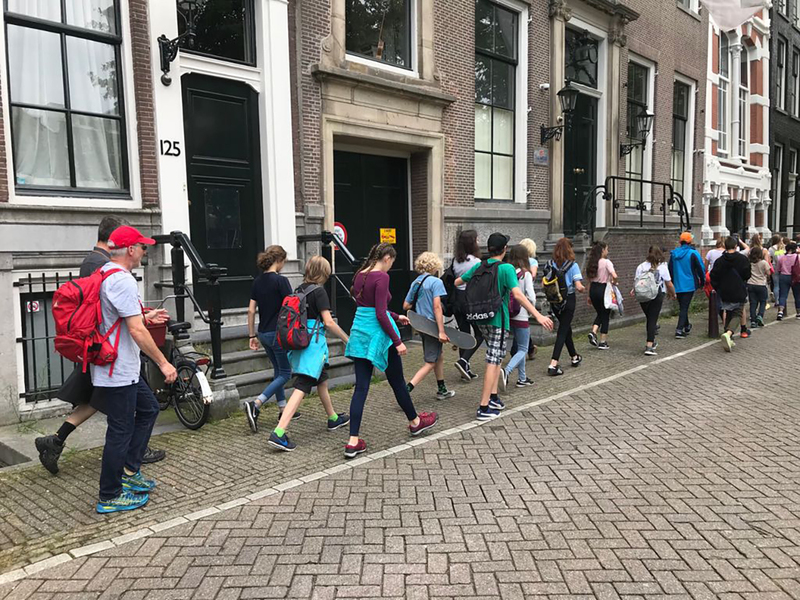 On Saturday the kids march 20km through Amsterdam and on Sunday they take a boat ride through the beautiful grachten/canals of Amsterdam. 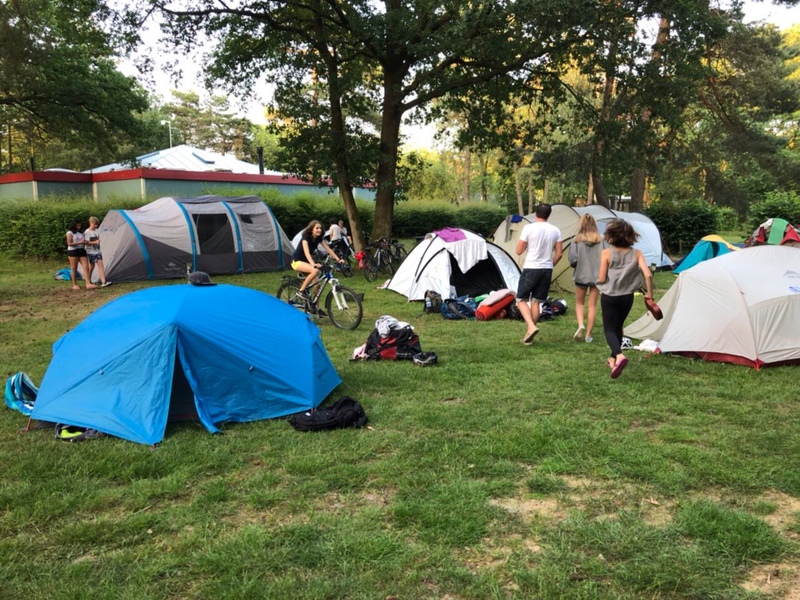 We’re heading to our final stop in Bergen (close to Alkmaar) and setting up the camp for the second week of our journey! We are going to two beautiful expeditions to the beaches close by. 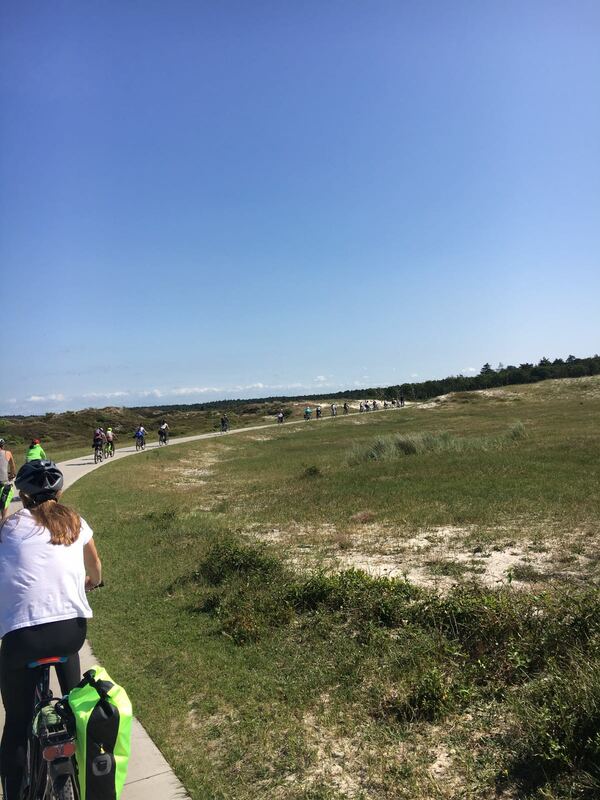 We reward ourselves for the efforts of the previous week with a nice walk in the dunes and a big portion of french fries for everyone. 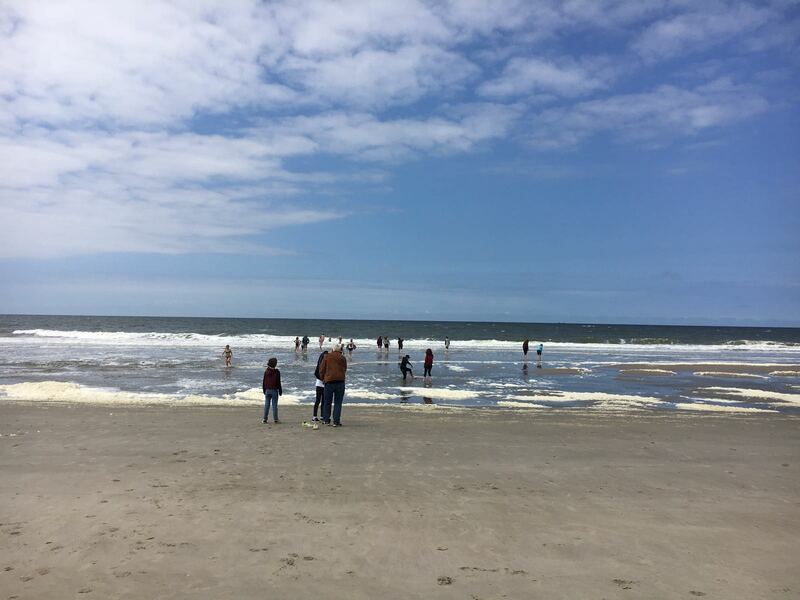 Some brave kids even take a swim in the ice-cold Northern Sea. It’s a chilly day! We sleep until 9am. Some are staying in the sleeping bags the entire day. But most of us take the bikes to explore the nearby nature. In the afternoon everybody is back at the camp again and we get the chance to watch some sheep-shaering.